He founded his own studio Friends of Industry Ltd in Helsinki in 2000. In 2009 Koskinen launched his first own collection Harri Koskinen Works. 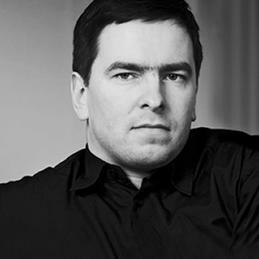 In 2012 Koskinen was appointed Design Director at Iittala. Koskinen has exhibited over 40 times e.g. in Berlin, Copenhagen, Helsinki, London, Madrid, Milan, Moscow, Munich, New York, Paris, Singapore, Stockholm, Tokyo, Venice etc. He has been awarded with prizes such us Torsten and Wanja Söderberg Prize 2009, Sweden, Compasso d’Oro & Compasso d’Oro Selezione, Pro Finlandia medal, Red Dot Product Design Award, Good Design Award, iF Design Award, EDIDA 2007 Elle Deco International Design Awards, Artist grant for 5 years by The National Council for Design in Finland etc. Some of his clients are Alessi, Altia, Arabia, Artek, Beauty Prestige International, Cassina IXC, Danese, Design House Stockholm, Finlandia Vodka Worldwide, Galerie Forsblom, Galerie Kreo, Genelec, Iittala, Marimekko, Maruni Wood Industry Inc., Issey Miyake Inc., Montina, Muji, Muuto, Oluce, Panasonic, Seiko Instruments Inc., Swarovski, Venini, Woodnotes and more. He has public collections in the Museum of Modern Art, New York; Museum of Art and Design, Helsinki; ittala Glass Museum, Iittala; The Chicago Athenaeum: Museum of Architecture and Design; Fonds national d'art contemporain, France and Kunstgewerbemuseum, Berlin.